Who can erase my existence from the mind of God? Grace, a civil servant with a sordid past, wakes one morning to find that she’s become a viral sensation: Her life has been hacked, woven into a lifestream, a full-immersion, 3-D, virtual reality experience that thrill-seeking stream riders can inhabit for a few dollars. Knowing that she’s powerless to keep strangers from getting their jollies reliving her life, and fearing that her teenage son, Dylan, might stumble upon her explicit lifestream, Grace finds a shredder, an expert in the ways of the Worldstream, the nearly infinitely detailed record of data from the ubiquitous Internet of Things. He’ll erase her lifestream and all of her data since the day she was born. Her life will be hers again, but she’ll be outside of the Worldstream–and she can never go back. 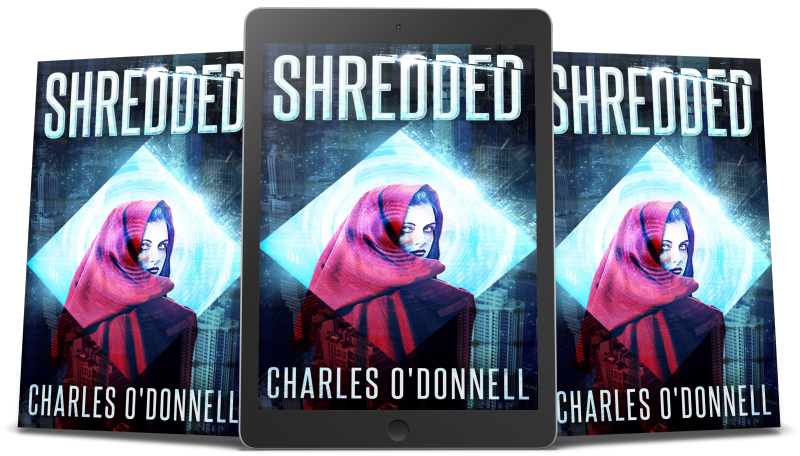 His latest book, Shredded, is an expression of his fascination with the progress of technology to either augment reality or to replace it entirely, and his concern over the erosion of privacy in a world in which everything is shared online, and nobody reads the terms and conditions. 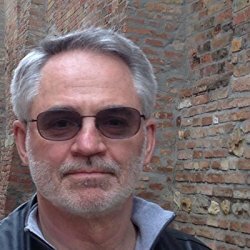 Charles lives with Helen, his wife, life partner and fellow paranoid in Westerville, Ohio.